It’s explicit: China is the Air Force’s “pacing threat.” That was the clearest message from Air Force Secretary Heather Wilson, who met with the press the day after the Pentagon budget’s release. China’s rapid modernization is driving the Air Force to respond, Wilson said, though she declined to detail any of the service’s efforts beyond noting the PRC’s anti-satellite test. The rest of the article is basically a sales brochure for the B-21. It follows the path of the F-35 in tone. 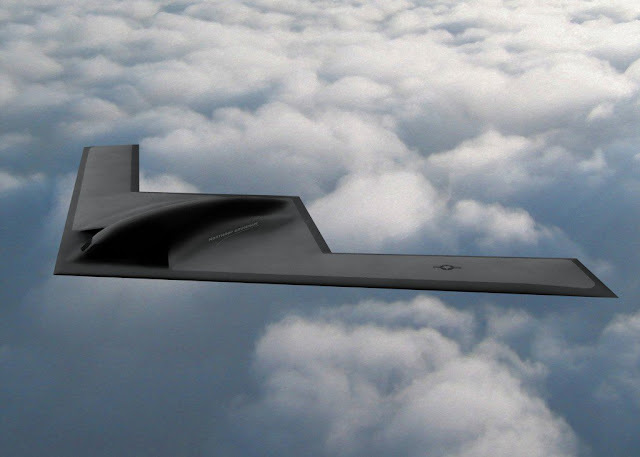 It will revolutionize the way we fight, not only will it be a bomber but it will be a sensor node extraordinaire, it will be capable at cyber and electronic warfare and it's the lynchpin to our future success against the Red Chinese. But the acknowledgement is news. Finally they're wrapping their brains around the China threat. Normally I'd cheer but I'm suspicious. Why now? What's changed to alter the talking points to "it's Russia and China" to now only China. I love winning arguments, I'm sure the former USNI Chief of Naval Intel for the Pacific is feeling vindicated, but I want to know why the change.